Today I had the pleasure of announcing a new partnership with the University of Illinois at Chicago College of Nursing and Memorial Health System to offer a Bachelor of Science in Nursing (BSN) at UIS starting in fall 2015. 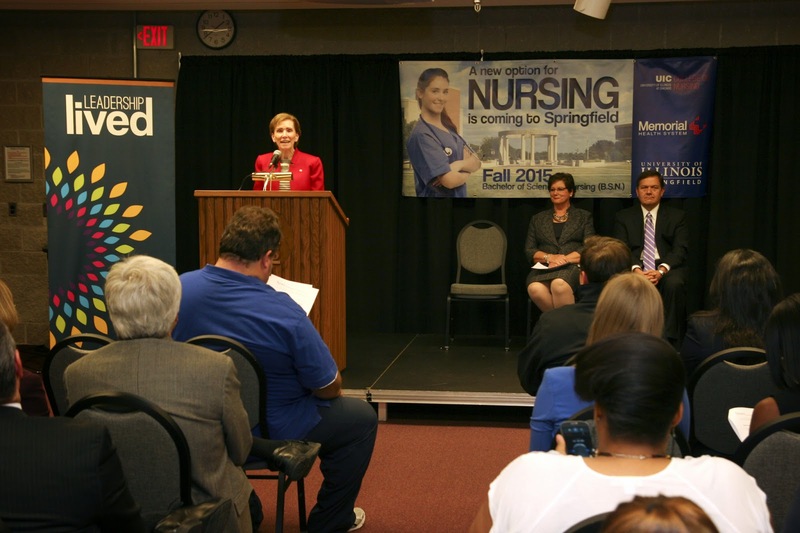 Not only will this bring one of the top ranked nursing education programs in the nation to Springfield, but it will help UIS grow and fulfill a need for more baccalaureate level nurses in Springfield. This type of collaboration, that benefits students and our communities, as well as makes the most efficient use of our resources, is what the University of Illinois does best.